‘Slavery, ecology, missing persons, inner-city violence, young love, prisons, trauma, and race’ all are said to figure into the Man Booker Prize for Fiction longlist, as the award starts its second 50 years of competition. Just two weeks after being handed the “Golden Man Booker” award for The English Patient, Canadian Michael Ondaatje is on the Man Booker Prize for Fiction 2018 longlist, announced today (July 24) in London. Ondaatje’s Warlight is in contention with 12 other longlisted titles by American, British, Irish, and Canadian authors. The best-recognized and most-honored literary fiction prize in the English language, the Man Booker Prize for Fiction—not to be confused with the translation-focused Man Booker International Award—is entering its 51st year with this “Man Booker dozen” longlist of 13 titles. The prize confers a purse of £50,000 (US$65,606). The shortlist of six titles is to be announced on September 20, with the winners’ announcement scheduled for a ceremony at Guildhall on October 16. And of key interest in the industry, the effect of a Man Booker win can be lucrative, organizers say, using last year’s winner as the example. “In the week following the 2017 winner announcement,” the foundation reports, “sales of [last year’s winner] Lincoln in the Bardo by George Saunders increased by 1,227 percent. This list, organizers are telling the press, was chosen from 171 submissions, a record high in the prize’s half-century of operation. Eligible titles have to have been published in the UK or Ireland between October 1, 2017, and September 30 of this year. In fact, as Publishing Perspectives has reported, this is the first year that novels published in Ireland are eligible for the prize, following a change in rules announced in January that recognized the special relationship between the UK and Irish publishing markets. Artist and graphic novelist Leanne Shapton. Controversy may be part of the reactions to today’s announcement, of course, as three of the longlisted authors–the graphic novelist Nick Drnaso as well as Rachel Kushner and Richard Powers–are American. As Publishing Perspectives readers know, the Man Booker Prize for Fiction’s “evolved” status has allowed authors working in English from any part of the world to be eligible for submission by a UK publisher. Critics’ most frequent assertion has been that an American hegemony is the result of the widened eligibility, a notion confirmed for some by the fact that US writers have won the Booker for the past two years, Paul Beatty in 2016 and George Saunders in 2017. The debate around the policy flared again this spring when members of the “academy” behind the Rathbones Folio Prize called for a return to the Booker’s more restrictive past, limiting eligibility once more to authors of Britain, the Commonwealth, Ireland, and Zimbabwe. In a prepared statement for the longlist announcement, jury chair Appiah is quoted, saying, “Perhaps unsurprisingly, given the times, there were many dystopian fictions on our bookshelf—and many novels we found inspirational as well as disturbing. “Some of those we have chosen for this longlist feel urgent and topical, others might have been admired and enjoyed in any year. All of these books—which take in slavery, ecology, missing persons, inner-city violence, young love, prisons, trauma, race—capture something about a world on the brink. “Among their many remarkable qualities is a willingness to take risks with form. And we were struck, overall, by their disruptive power: these novels disrupted the way we thought about things we knew about, and made us think about things we didn’t know about. 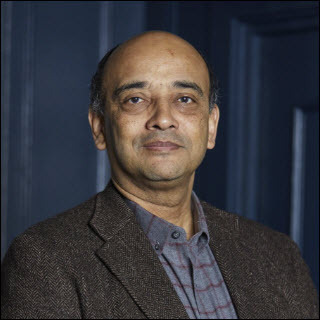 While Publishing Perspectives’ date stamp on this story will say July 23, the story is being published just after midnight London time on July 24—five time zones ahead of our Eastern time operations—in accordance with the Man Booker Foundation’s embargo on the information. 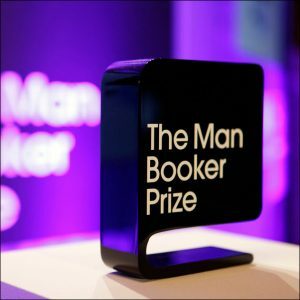 Social media content about the ‘2018 Man Booker Prize for Fiction is being hashtagged #ManBooker2018.